Weather modification refers to willful manipulation of the climate or local weather. Research done in this field goes back to as far as the early 1940s when the US military experimented with cloud seeding to stimulate rain. Today, private corporations have joined the weather modification research effort to protect people, cities and assets from the damage extreme weather brings. Cloud seeding experiments started with the work of a scientist from General Electric named Vincent Schaefer who discovered that ice crystals can induce precipitation. Since ice crystals are difficult to transport and spread over an area, silver iodide, a compound with similar properties, was used as a substitute. The experiments continued until the 1970&apos;s when the program was shelved because of lack of usable results. Cloud seeding involves the use of water-absorbent materials to encourage the formation of clouds and rain so that there could be increased crop production in areas where there&apos;s little water. This practice has already been implemented in some areas like Texas and Utah, though not without its share of controversies. The effectiveness of cloud seeding cannot be proven and some worry that it may actually cause harm. The US military has also been intensely interested in this technology since weather manipulation can be used as a weapon of war. This can be used to prevent enemy aircraft from taking off the ground or from flying over certain areas. 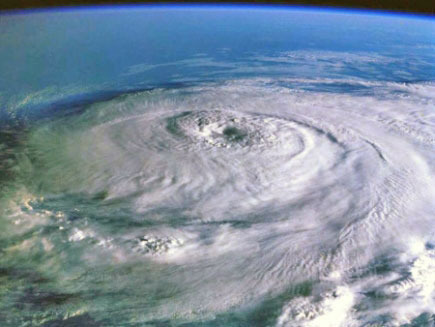 It was later proposed that cloud seeding can also be used to weaken the destructive power of hurricanes by drawing off moisture and reducing its wind speed. The experiments that resulted from this theory was named "Project Storm Fury" and began in 1961. It is believed that seeding the hurricane at appropriate places with water absorbent materials could cause its eye to expand and cause the hurricane to lose some of its power. One of the notable experiments in this project was when cloud seeding was done on Hurricane Debbie in 1969. This caused a 30% reduction in wind speed. The change proved to be only temporary, unfortunately. Successive experiments also failed to prove the effectiveness of cloud seeding in reducing hurricane power, so the project was ultimately shelved in 1980. Recently however, a Florida-based company resumed experiments using a water absorbent material known as Dyn-O-Gel which can absorb as much as 2000 times its weight in water. 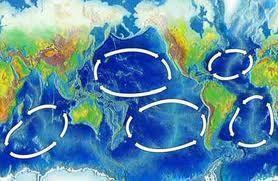 The polymer then falls into the ocean as a form of gel which the company claims to be biodegradable and environmentally safe. In an experiment last 2001, 20,000 pounds of the material was successful in dissipating a thunderstorm that was noted by local radar stations. 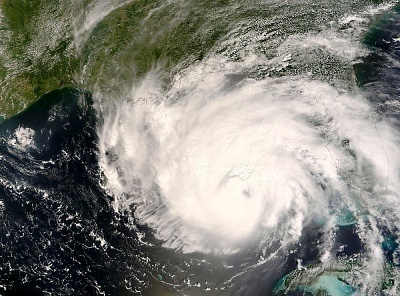 Other proposals for weather modifications include coating the ocean in the path of the hurricane with a thin layer of vegetable oil to prevent water from evaporating and reinforcing a hurricane&apos;s strength. There&apos;s also a proposal to use orbiting mirrors in space to redirect sunlight. Cool pockets of air will be heated and weather will be altered. I’ve recently become convinced that our government and other governments are actively altering weather patterns as a means of warfare. With the recent un-precedented weather activity throughout the world, wather modification could be regarded as a weapon of mass destruction. Unheard of destructive weather has occured in areas that have never seen such weather. Katrina and recently, the tornados in the Carolinas, are unusual. Great Britain has seen snow storms; global warming could also be a result of weather modification. On what basis are you convinced of that? I’m not sure weather modification technology is yet so advanced that people can cause hurricanes. Government is often likely to use various disasters as a cover for expansion of their power and perception of “legitimacy”, but I’m not sure they’re yet capable of actually producing such natural disasters. on the other hand though,simply ionizing the air can cause drastic changes such as lighting storms,add to that heavy carbon exposure(which causes rain) and you have a home brewed storm. But I`m not so sure about climate effects of heat redistribution via the oceans. The Royal Navy knows more about ocean currents from the days of sail than enough. The transAtlantic current moving heat from the Gulf of Mexico to Europe showed clear signs of dissipating after the surface was oiled following the Deepwater Horizon blowout. Lately it has become clear that leakage either did not stop or has recurred by fractures in the ocean floor at or near the wellhead. 163 queries in 0.351 seconds.